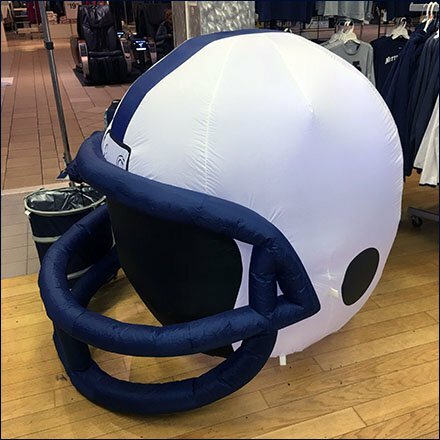 All that is required for a great Fall sporting goods attention compeller is something like this Penn State Football Helmet Inflatable. Even without nearby Penn State logos, any Pennsylvanian recognized the Blue and White of Penn State. After all, isn’t that why god made the sky Blue and White? This inflatable attention compeller seen calling out to passersby at the the entrance to Schuylkill Valley Sporting Goods.